GOLD performance for the Senior Girls Team – Clare Bennett-Gibbs, Kyra Jarvis, and Téa Racozzi. In addition, Clare won GOLD Senior Girls Individual, and Kyra placed only a few spots off the podium with a 5th place individual finish, and Téa placed 8th overall. On the boys side, Zach Logan won SILVER Individually in the Junior Boys Category. Together with his teammates Fox Sullivan, Greyson Corbett-Lumb, and Kaz Schnitzer, they took a team BRONZE place finish on the podium. SILVER medals were captured by the Intermediate Boys Team of Vincent Becker, Aidan Hennigar, Aden O'Callaghan, and led by Jem Logan, who also took the Intermediate Boys Individual SILVER medal. All of our riders improved this season and did KES proud with their accomplishments and excellent demonstration of sportsmanship. Coaches Alguire and Smith, along with trainer Kimberly Sutherland, are very proud of everyone's determined effort and commitment to the race programme. 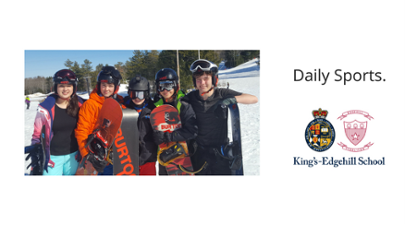 We especially thank our Grade 12 students, Captain Kyra Jarvis, Clare Bennett-Gibbs, Téa Racozzi, Spencer Lockyer, Luis Espinosa, and Kate Mackinnon, and wish them every success in their future endeavours. 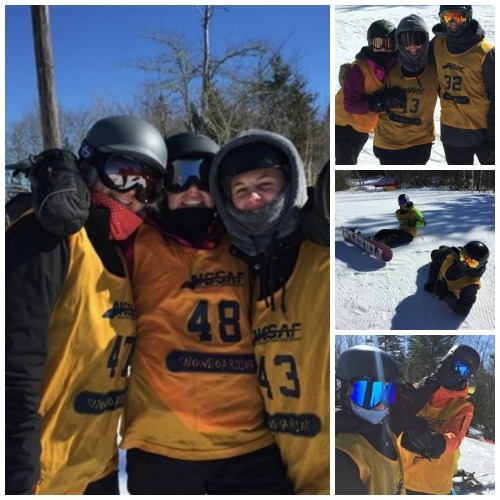 A special note of congratulations go to Kate for placing 4th in the Snowboard cross Big Finals at the recent 2019 Canada Games! We want every child to find an activity they can pursue with passion. With three seasons of sports and over 20 different options to choose from, we're pretty sure your child will find a few they love. Download our Athletics Photojournal to discover more sports at KES.